In the year through November 2014 I had rented cars 24 times with Europcar. I don’t have the exact figure for the last 4 years but it must have exceeded ~60 times. 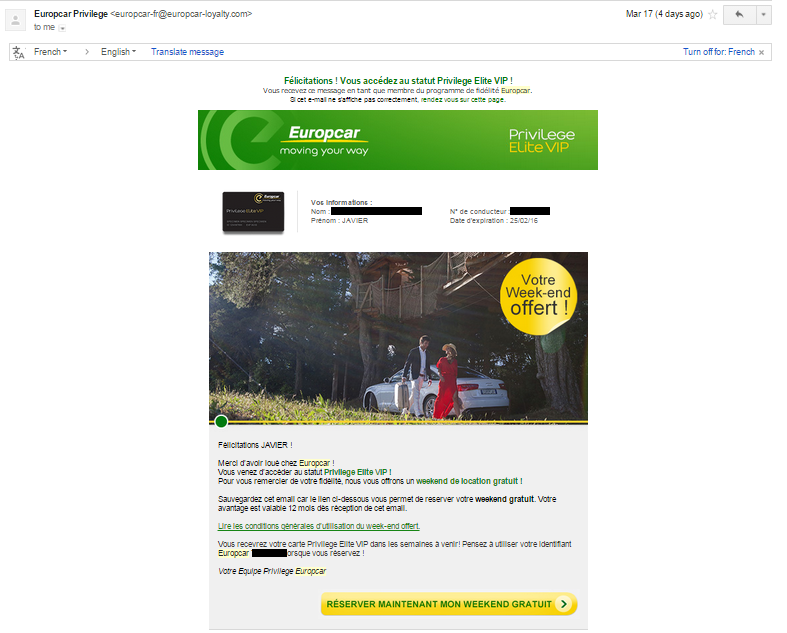 A few days ago I received the email below from Europcar Loyalty Programs announcing me that I had been granted the Privilege Elite VIP card (the highest in the scale, see below). 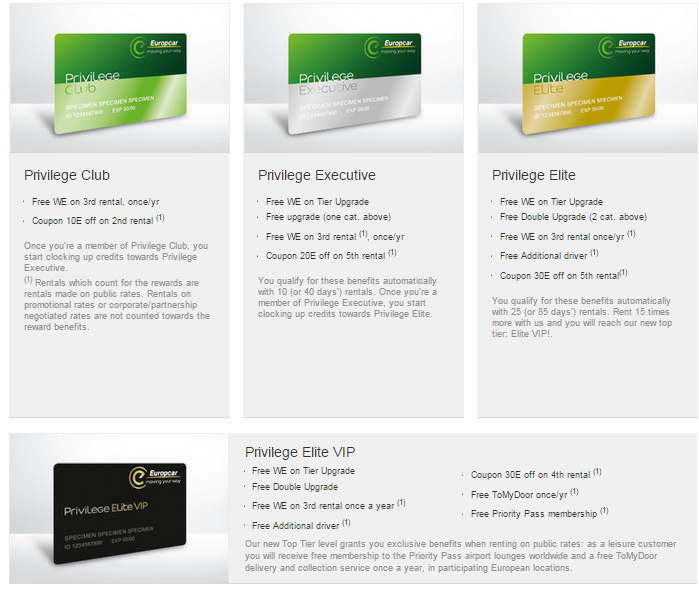 Europcar’s email with the news of being granted the Privilege Elite VIP card. My response to Europcar’s email. I am pretty sure this letter will not trigger any change in Europcar’s commercial policy. But I wanted to show them how much I value their commercial policy. Side note: since November I moved houses. I have not cared about notifying Europcar about the change. That card will be lost somewhere. I don’t care. That is my fidelity and loyalty to Europcar. On the other hand, I am also fairly sure that at some point Sixt will charge me a similar stupid concept, I will then move to another company, no problem.